This past weekend we celebrated my sister-in-law’s 50th birthday. We all gathered together at my mom’s house for the celebration, the house was quite full with family and friends. There is one thing to be said about my family they love to celebrate life; any milestone in one’s life does not go without a celebration. Our celebration always involves lots of food. If you go away hungry it’s your own fault, because there are certainly lots of food and a large variety. 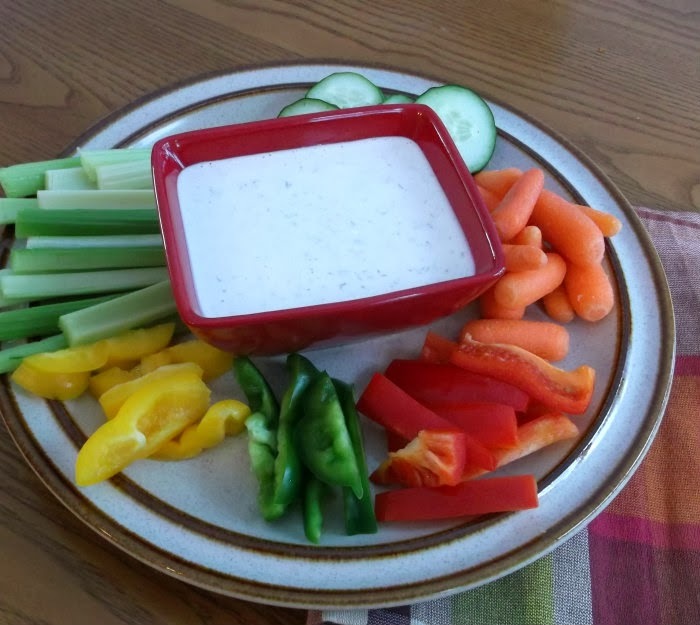 For this one I was in charge of vegetables and dip. A lot of times I pick up a packet of mix and then mix in the sour cream for something fast, but this time I decided to make one from scratch. As the saying goes I decided to kill two birds with one stone… something for the celebration and something for my blog. 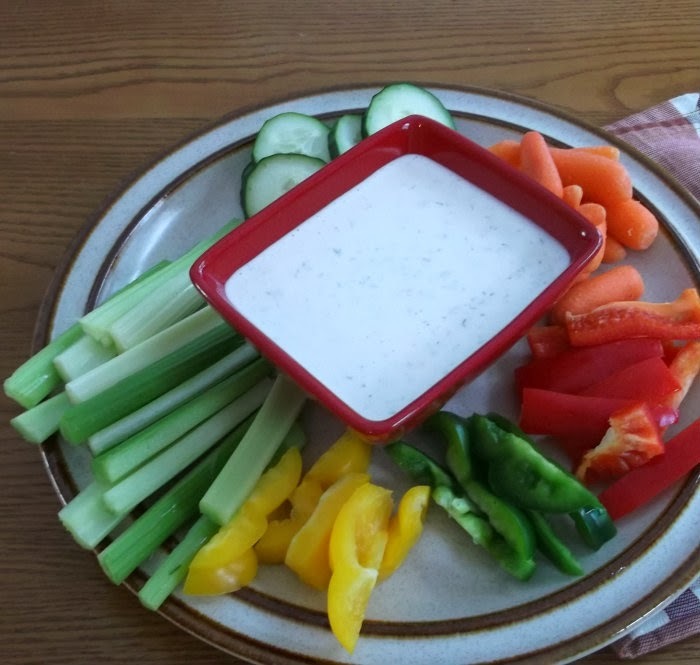 Everyone enjoyed the dip, so that is a good thing, but it was a little on the thin side even though I added a little extra mayonnaise. I loved the combination of ingredients, the flavors blended well together. I tried it on a salad and it worked well on the salad as well. Whisk buttermilk, mayonnaise, dill, lemon juice, mustard, honey, garlic powder, and salt in a medium bowl until combined. 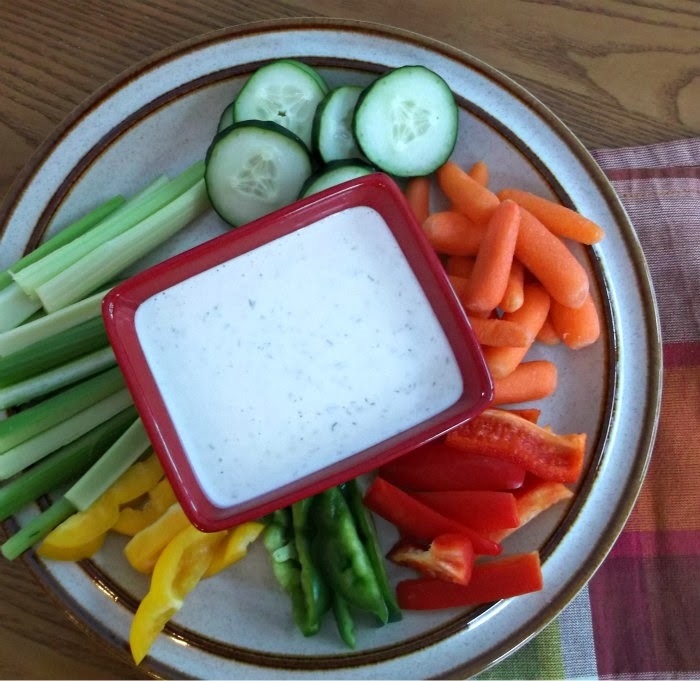 Serve the dip with vegetables of your choice or over your favorite salad. It isn’t a party without a good dip! I love that you went the fully homemade route here! Sounds great as a dip but I have to admit that I just love homemade salad dressings so I can see myself making this for salad. We always celebrate with tons of food, too. This is such a great looking recipe — love the flavors in it. Thanks!